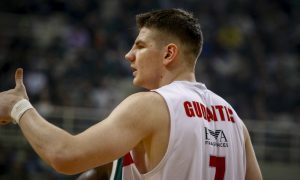 The Cleveland Cavaliers will have to wait one more year to possibly sign Arturas Gudaitis. 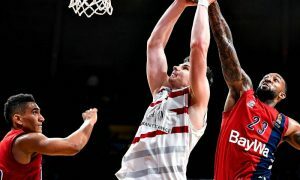 EuroLeague with a hand from Synergy Sports Technology presented the Stats Review following the Regular Season Round 23 action. 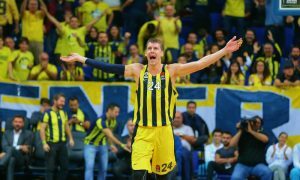 Arturas Gudaitis was diagnosed with an ACL injury. 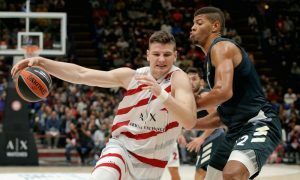 AX Armani Exchange Olimpia Milan’s Arturas Gudaitis has set his sights on the NBA. MVP Ladder, Vol. 3: The battle for the MVP award is flaring up! Arturas Gudaitis won't miss any Milano games after all. 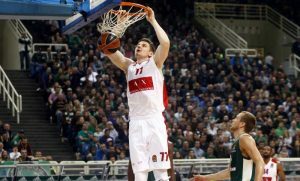 Lithuanians Mindaugas Kuzminskas and Arturas Gudaitis partnered up and kept Olimpia Milano undefeated by beating Cantu on the road.